In medium bowl, stir hot water and sugar until dissolved. Stir in wine, orange liqueur and lemon juice. Divide fruit among 7 (5-oz) paper cups. Pour wine mixture into cups. Cover cups with foil; insert craft stick into center of each pop. Freeze 8 hours or until frozen. 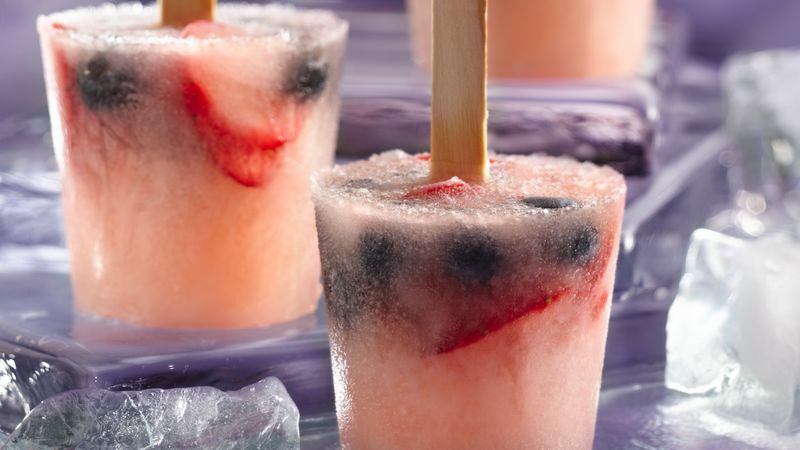 These pops take longer to freeze because of the alcohol, but they are well worth the wait!